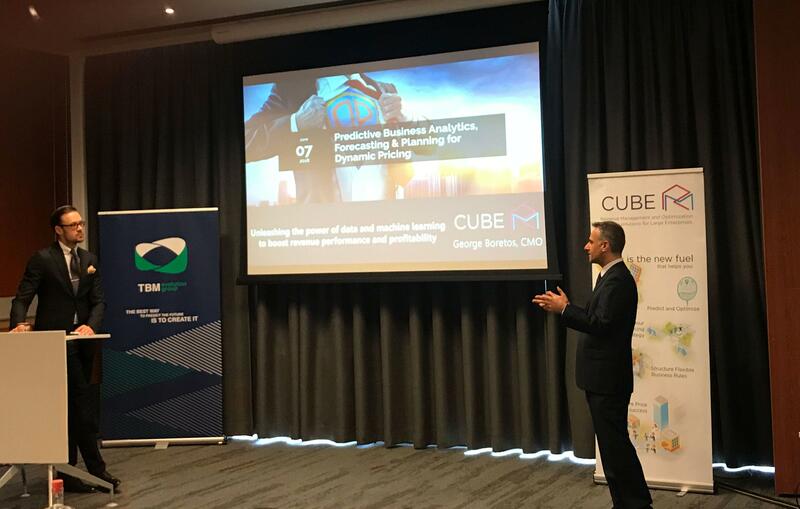 Our CMO, George Boretos, was the chairman of the Predictive Business Analytics, Forecasting & Planning for Dynamic Pricing conference, organized by the TBM group in Amsterdam on June 7-8, 2018. A great panel of speakers and pricing experts from all over the world, representing different industries, from manufacturing, to retail and services, analysed numerous topics of interest for the emerging Dynamic Pricing market: Machine-Learning in pricing, Specialized pricing software, Omni-channel pricing, Dynamic Pricing in Loyalty systems, Pricing benchmarking, Similarities in pricing between industries, Internal change management for new pricing initiatives, and Effective pricing communication with customers. All these along many successful pricing journeys by companies in different industries were some of the highlights of the conference. Congrats to all speakers for their contributions and all conference delegates for their questions and creative interaction throughout the conference!